220: What’s the matter with you? Gabry is a guy with prorities, not exactly in the right order, but they are in an order of some kind. My other comic has started updating again! Chapter Six is the last regular chapter in it. If you like my work please support me on Patreon. 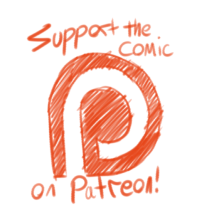 Patreon supporters help keep the comics free to read for everyone and can also get some cool perks. First two are ligit, but the last one, kinda not the time to worry about that hon. 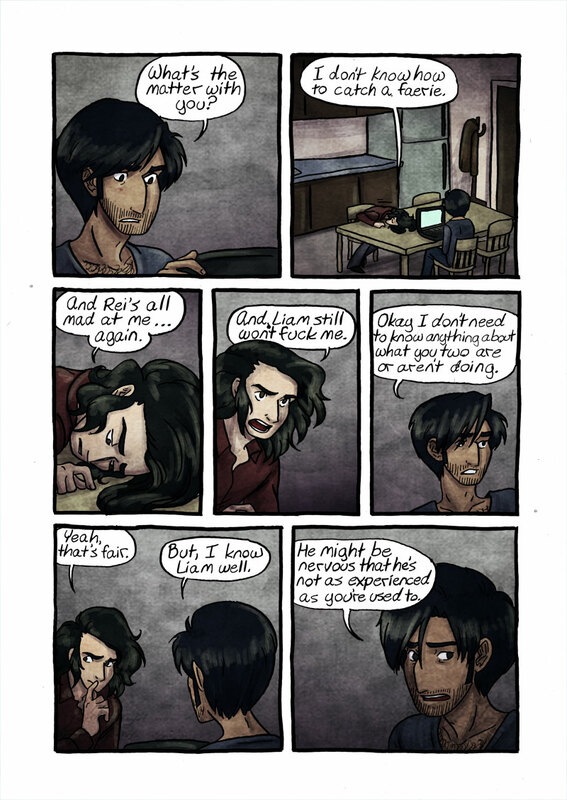 I love Gabry's emotional journey in this comic. Malaise; guilt; rage; acceptance. Get that man some comfort food.